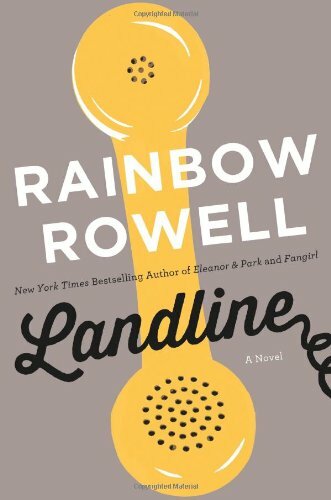 From New York Times bestselling author of Eleanor & Park and Fangirl, Rainbow Rowell, comes a hilarious, heart-wrenching take on love, marriage, and magic phones. Georgie McCool knows her marriage is in trouble. That it’s been in trouble for a long time. She still loves her husband, Neal, and Neal still loves her, deeply—but that almost seems beside the point now. Two days before they’re supposed to visit Neal’s family in Omaha for Christmas, Georgie tells Neal that she can’t go. She’s a TV writer, and something’s come up on her show; she has to stay in Los Angeles. She knows that Neal will be upset with her—Neal is always a little upset with Georgie—but she doesn’t expect to him to pack up the kids and go without her. When her husband and the kids leave for the airport, Georgie wonders if she’s finally done it. If she’s ruined everything. That night, Georgie discovers a way to communicate with Neal in the past. It’s not time travel, not exactly, but she feels like she’s been given an opportunity to fix her marriage before it starts. . . .
Is that what she’s supposed to do? Introducing Kobo, our new eReading partner. Kobo is the best way to read eBooks while supporting Harvard Book Store.